Ahead of the long weekend, Holden reveals the simple tips to keep you and your family safe on the road. According to Lindsay Mitchell, Vehicle Safety Engineer at Holden, one of the most preventable road-side issues is tyre damage. 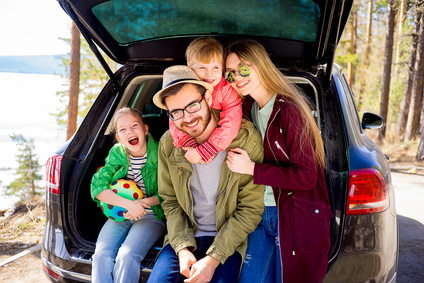 An easy five minute stop to the tire shop before your big road-trip can potentially save you time, money and perhaps even your holiday. 24-year-old Alyssa Jackson from Sydney has unfortunately experienced this first-hand on a WA road-trip with her dad and brother. A faulty tyre almost cost them their holiday, leaving them stranded on the road and out of pocket due to the unexpected expenses. Your tyre doesn’t have to look flat to cause a major issue such as bursting, deflating or even damaging your axle. A pre-trip check-in will take five minutes and make sure your tyre pressure, tread pressure and brakes are good to go. If you’ll be changing terrain on your drive (e.g. going from bitumen to mud, sand or gravel), you must change your tyre pressure to meet the environment. For example a Holden Colorado or Trailblazer only needs less than half the tyre pressure when driving on sand vs. driving on bitumen. Be aware of the change in conditions, especially when driving through rural areas which have an increased stopping distance. Animals on the road in rural areas come out most at dawn and dusk, which is the most difficult time to see. If you do come across an animal – no matter how big or small – avoid swerving and brake in a straight line. Ensure your infotainment system is connected to your phone before starting the engine. Familiarise yourself with your car’s infotainment system so you can make the most of these features on the road. Through Holden MyLink infotainment system, all your music and maps are covered and if you activate your push to talk button, you can speak directly to Siri without a distraction. No-one wants someone else’s luggage flying off the car in-front on a highway. Ensure all your accessories and travel luggage are strapped on correctly and via guidelines. If you’re travelling with bikes, a great way to check guidelines is here. Don’t forget roof bars, surfboards, bike racks and trailer lights are checked and changing your caravan or towing hitch regularly is important to ensure it’s up to scratch. You can usually check out the towing capacity for your vehicle on the car brand’s website, such as here for Holden Colorado.